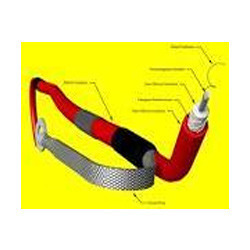 With the support of highly skilled and experienced professionals, we are engaged in offering a qualitative assortment of Two Wheeler Ignition Cable. 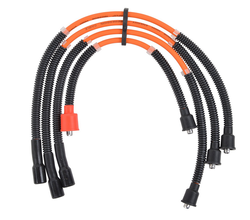 Our offered ignition wires are used in scooters and motor cycles. These ignition wires are exceptionally valued in the market, due to their low maintenance and high strength. We are offering a wide range of Ignition Lead. Backed by our advanced infrastructure, we are able to manufacture, export and supply an extensive array of Ignition Coils, which is made from fine quality component, techniques and technology. These are most essential part and product of automobile industry. We offer these precision engineered product that is technically sound and best in efficiency. We offer these at best nominal rate. Plug wire sets available for all vehicles. - Water absorption resistance : excellent.